Malta Med has comprehensive, state-of-the-art lab services right on-site to assist our medical staff and patients. Now Welcoming Blue Shield Enrollees to our Lab. 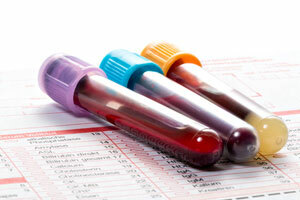 MMEC is a preferred laboratory blood draw site for Blue Cross Patients. Our Laboratory Services Centers are licensed by the New York State Department of Health and accredited by the College of American Pathologists (CAP). This distinction, shared by only 10 percent of hospital laboratories in New York State, provides an added assurance of quality for patients and referring physicians. With a valid, current prescription (written within 12 months of today’s date), we’ll register you and bill your insurance. The ordering Doctor or provider will receive a copy of the results, once they are posted. You need to fast if your doctor has ordered a fasting test. This means that you cannot eat anything and may only drink clear water for 12-14 hours prior to your test. You should continue to take your medications unless otherwise instructed by your doctor. Some common fasting tests include: fasting glucose, fasting lipid panel, fasting metabolic panel, fasting cholesterol, HDL or triglyceride. If you are uncertain about whether or not you should fast, please contact your healthcare provider. Because certain test results may be influenced by what you eat or drink, we prefer that you do not have your blood drawn if your tests were ordered as fasting. What do I need to bring to the Patient Service Center for my blood draw? Please bring your insurance card, your picture ID and the doctor’s order for your lab tests. What should I do if I need to collect my own specimen at home? If your healthcare provider instructed you to collect a specimen at home for testing in the lab, you will receive a requisition, laboratory collection kit and instructions from the office staff. You may be directed to go to Malta Med Emergent Care Laboratory to pick up your collection kit and instructions. Be sure to bring your laboratory requisition with you and be prepared to take a few minutes with our staff while they explain the collection process. After you have collected a specimen at home you will deliver it to Malta Med Emergent Care. Be prepared to provide properly labeled specimen, requisition and insurance information. Our staff will review all information before you leave to assure proper collection. How soon will my laboratory test be completed? Because we have a full service lab at Malta Med Emergent Care, most tests are available to your physician the same day. Some tests that need to be referred may take longer. Is Malta Med Emergent Care a preferred site for lab services?